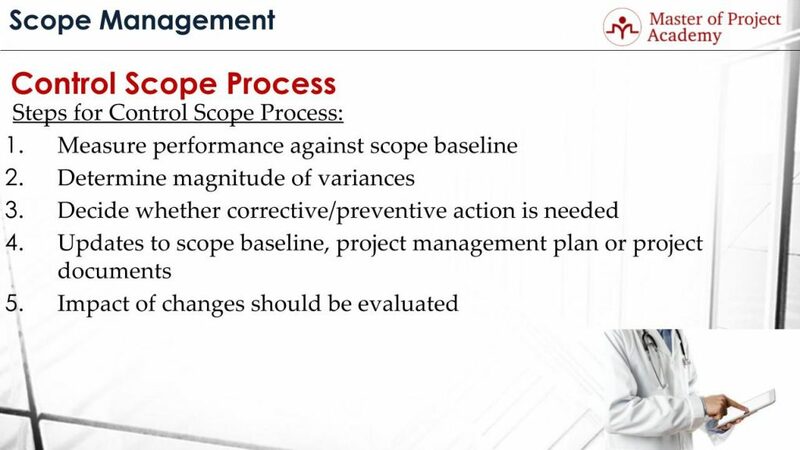 Control scope process is the last process of the Scope Management Knowledge Area. 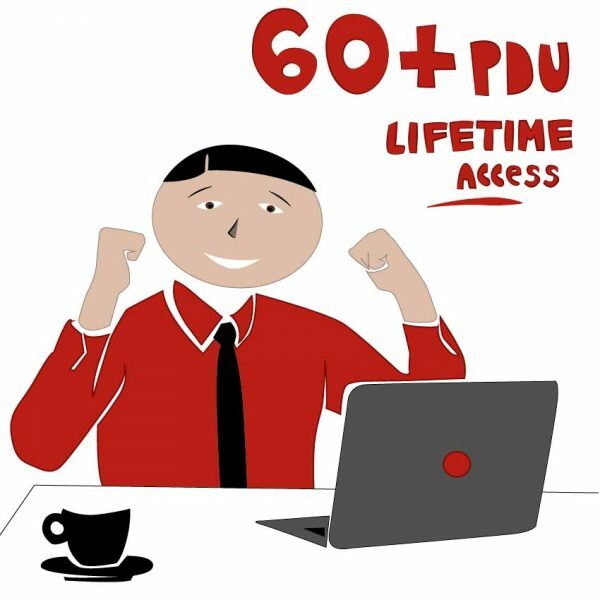 You may come across various questions about this process amongst the PMP exam questions since this is a critical process of Scope Management. 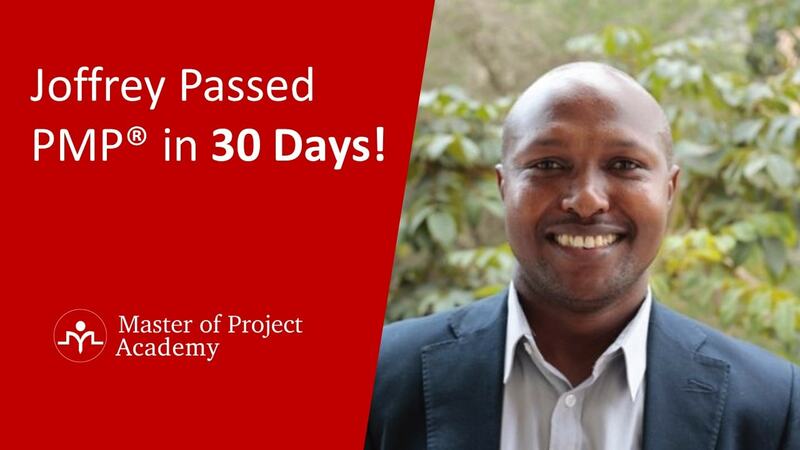 If you are already enrolled in a PMP training course, you may have knowledge about Control Scope Process. 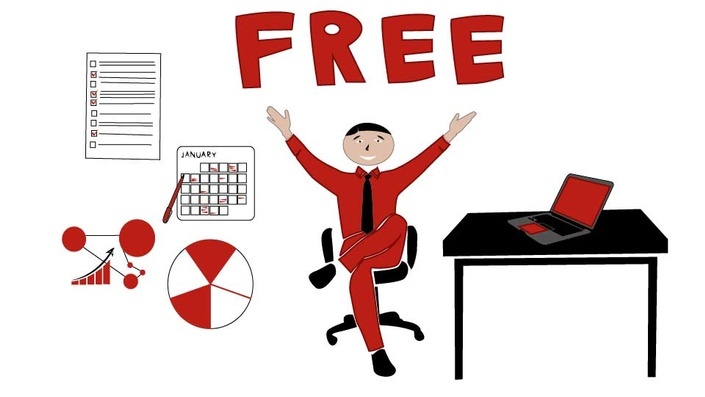 If you aren’t enrolled in a course yet, you may consider taking an online free PMP course to have a brief introduction to Control Scope process and all the other processes as well. In this article, we are also going to give the description of the control scope process and also list the five steps of this process. 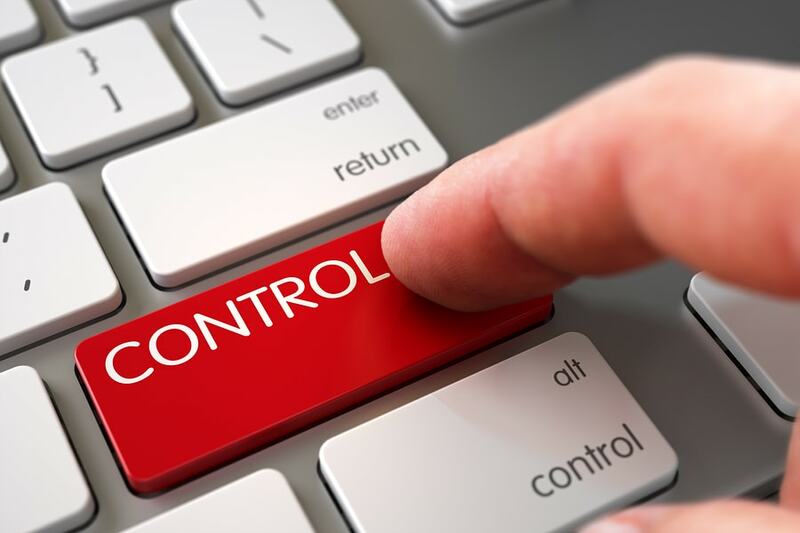 What’s The Goal of Control Scope Process? Let’s begin by explaining the objective of Control Scope Process. 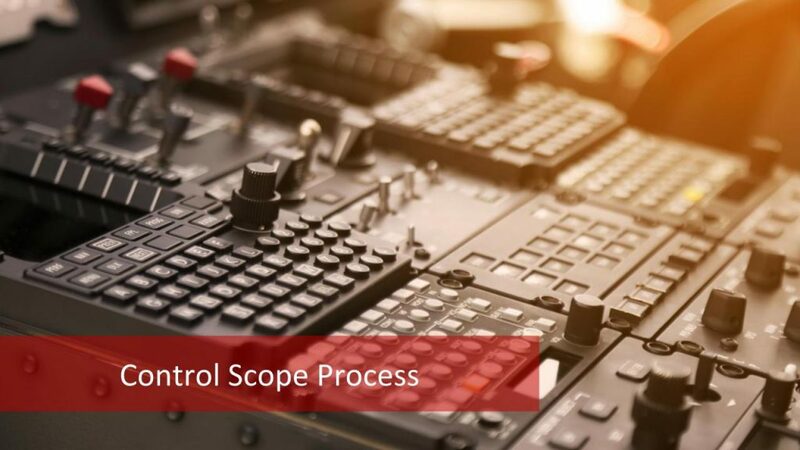 Control scope process is the process of monitoring the status of the project and product scope and also managing changes made to the scope baseline. 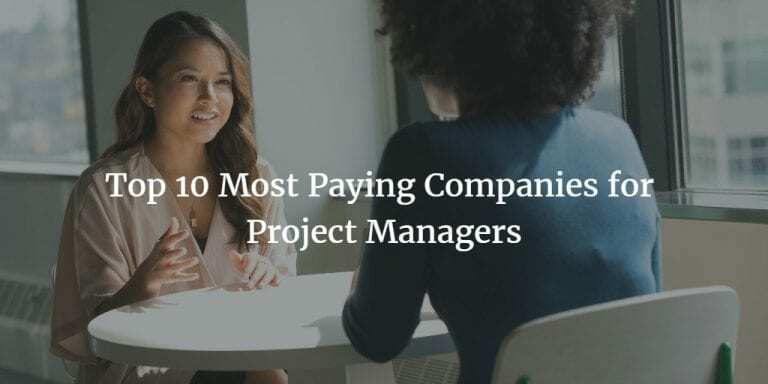 After the scope is finalized in the project, it needs to be monitored throughout the project to see whether project activities will lead to successful delivery of project deliverables. Control scope process mainly tracks this in a project. Changes are inevitable during the management of a project. So, there will be changes in a project as well. If a change is approved by the change control board, it needs to be implemented in the project. Control scope baseline process manages these changes to the scope baseline respectively. Control Scope process measures the performance of the project scope and product scope and also manages the changes to the scope baseline. When delivering the product and project scope, how these deliverables meet the initially agreed requirements must be checked. If lots of gaps between the requirements and the deliverable come into place during perform quality assurance, or many defects are reported by the customer, these need to be corrected and regarding preventive actions must be taken to reduce the number of defects in future deliverables. The first prerequisite is that the scope definition must be clear. 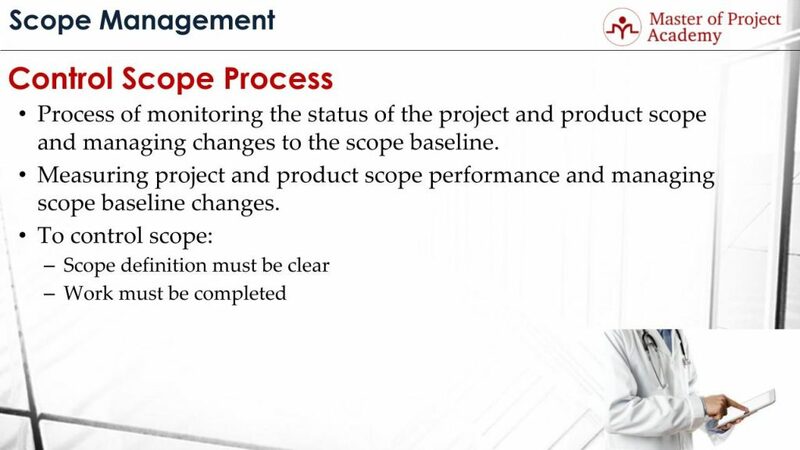 Because scope performance measurement will be done mainly on the sealed scope in the beginning. To do accurate and precise scope performance measurement, the scope definition must be clear. The second prerequisite is that the work must be completed. In order to check the results of a delivered work against the scope baseline, it must be finished first. 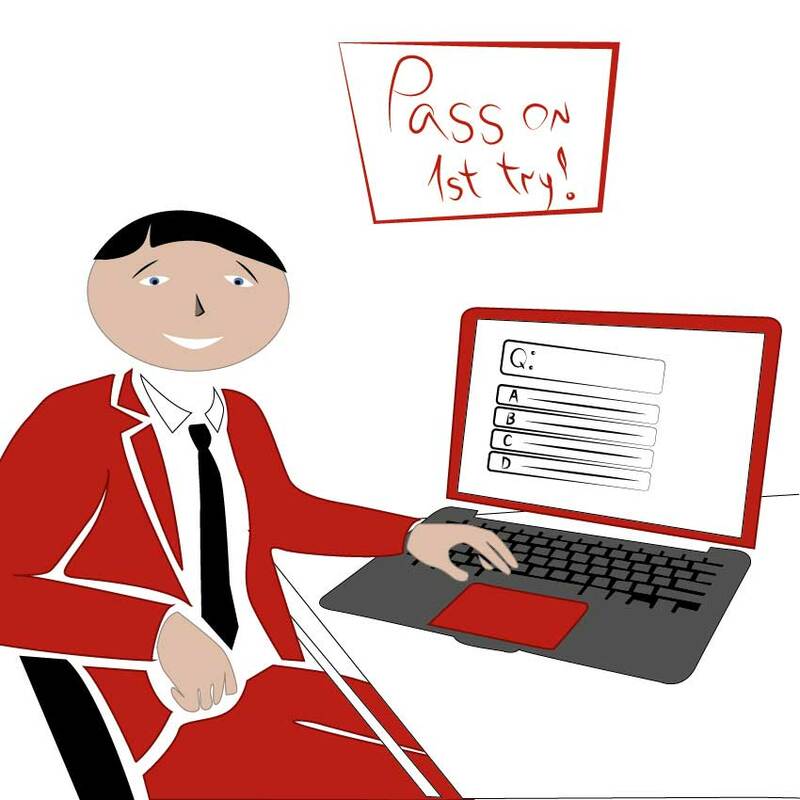 What Are the 5 steps for Control Scope Process? The first step of control scope process is Measuring performance against scope baseline. In order to check whether delivered work meets the initially agreed requirements, it is measured against the scope baseline. The scope baseline stores the last and up-to-date scope of a project. The second step is determining the magnitude of variance. 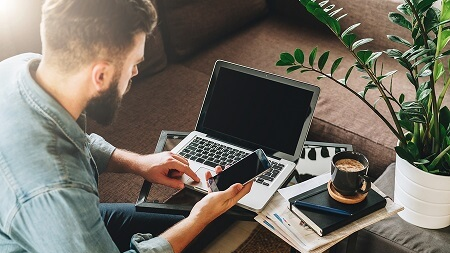 After making the evaluation and checks, if the delivered work does not meet the agreed requirements and scope, the level of variance is identified. The third step control scope process is deciding whether a corrective action or a preventive action is needed. After the variance against the scope baseline is determined, this variance must be fixed. These can be defect repairs or preventive actions that will reduce the possibility of future scope variances. The fourth step is making the updates to scope baseline, project management plan or project documents. Regarding documents and plans must be updated, depending on the corrective and preventive actions that will be taken to fix the variances and get back on track on the scope baseline. The fifth and the last step control scope process is the evaluation of the impact of changes. The output of the control scope process can be change requests. And in order to assess the outcomes of the change request to the project, impact of these changes should be evaluated. Because the change control board will determine to approve a change request by evaluating the impact of changes as well. 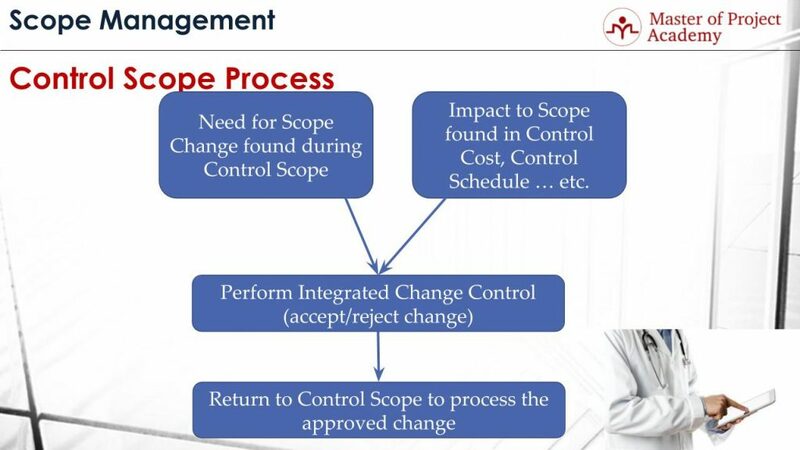 Let’s see how the control scope process is related with the perform integrated change control process. Need for a scope change is found during control scope process. Deliverables and completed work of the project must be checked against the scope baseline. There may be variances in the completed work or deliverable, or the customer may be requesting changes. These all must be updated in the scope. 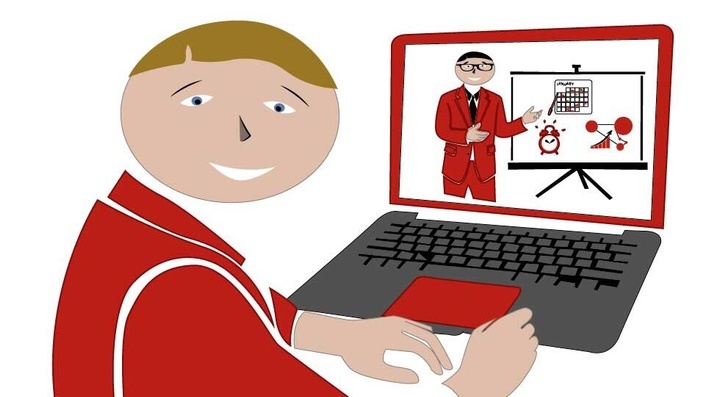 Also sometimes during other control processes of other knowledge management areas such as control cost, control schedule etc., there may be some impacts to the scope. For instance, the customer might request an earlier delivery time than the one agreed in the beginning. Naturally, with the same resources and budget, this can only be possible if the scope is reduced. This means there will be an impact on the project scope. These two reasons stated above will initiate the perform integrated change control process. This process is a part of integration management knowledge area. In this process, changes in a project are evaluated based on a structured approach and in a project only approved change requests can be implemented. Based on the outcome of the perform integrated change control process, if the change request is accepted by the change control board, the control scope process will take the approved change request and implement it. Regarding updates on project documents, scope baseline and project management plans will be done respectively.